Yes, you knew I had to use Sew Organized for the Busy Girl for one of these posts eventually. It's such a strange but wonderful thing to have this book in my hands and to actually be sewing from a pattern inside it! Choosing a favorite project from your own book is like picking a favorite child. How can you possibly do it? But if I absolutely had to, it might just be the Deluxe Pincushion. This little project embodies everything I wanted the projects in my book to be: simple, quick, and very useful. 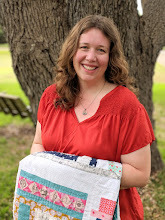 I love being able to indulge in a bit of patchwork with my tiniest scraps, and I'm always crazy about projects that I can finish in a hurry (I began working on this after the girls started their morning classes today and was finished before lunch!). Most of the prints are from the adorable Milk, Sugar & Flower collection by Elea Lutz for Penny Rose Fabrics. I added a Sweetwater text print and a little dotty fabric too, since I always love to add some black and white to any project. A side loop out of Cotton + Steel twill tape was the finishing touch. This would be such a fun pincushion to bring to a retreat or sew-in. All your notions tuck neatly into the pocket, and off you go! I'm linking up with the rest of the Sew the Library crowd at Weekend Doings. You still have a week before February is over. Come join us! I also like simple, quick and useful. Actually, if I had to rank the order of what I expect from a project, useful would be number one, aesthetic would probably be number two, and simple/quick would be number three. This project ticks all those boxes. Very nicely done, and very cute. Oh what a great project :-) Quick, useful and oh so pretty. I love it! It's lovely! I have to get my hands on a copy of your book! Heidi, this is such an adorable pincushion, and your addition of all that cute fabric is just perfect. I'm so looking forward to making my own version of this pincushion. So cute! I went to amazon to order it and found it is not out until April 1. Should I be looking somewhere else or is that the date? Such a darling pin cushion! 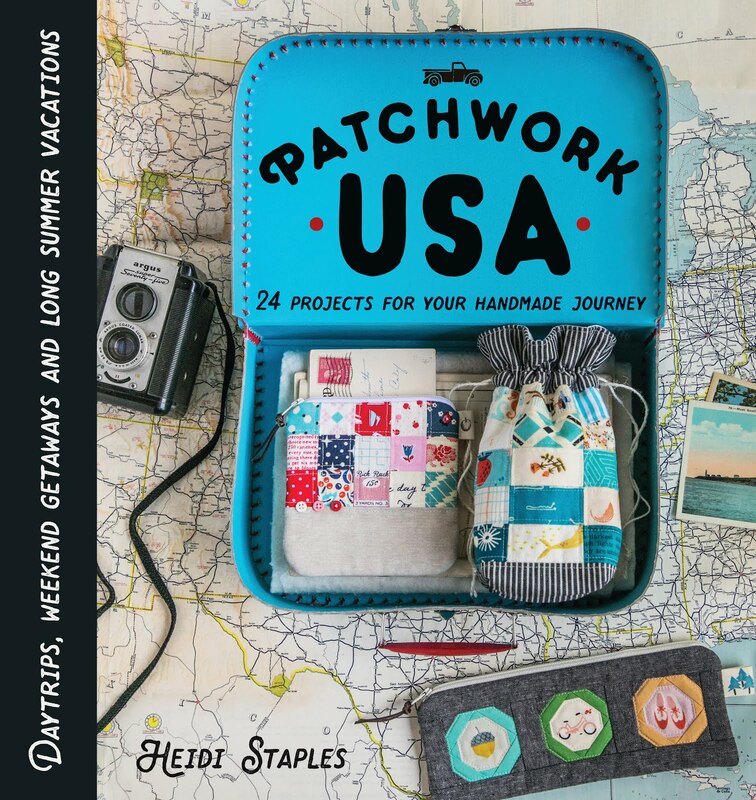 Looks like a fab book ~ one I could certainly use ~ my sewing space is a mess right now! That is so cute and great idea too! This is a darling project! Your book looks fantastic!! Super cute pin cushion. I love the black and white polka dotted fabric. The perfect fram for all those cute prints. I can't wait to get a copy of your book and see all the lovely projects you put so much work and love. Heidi, your pincushion is sweetness itself! All the little fussy cut squares in the center are so adorable! I just pre-ordered your book, because I could use some Organization for the Busy Girl! Congratulations by the way! So adorable and useful at the same time! Your book is on my wish list! Simply adorable,and love that it is also very useful!